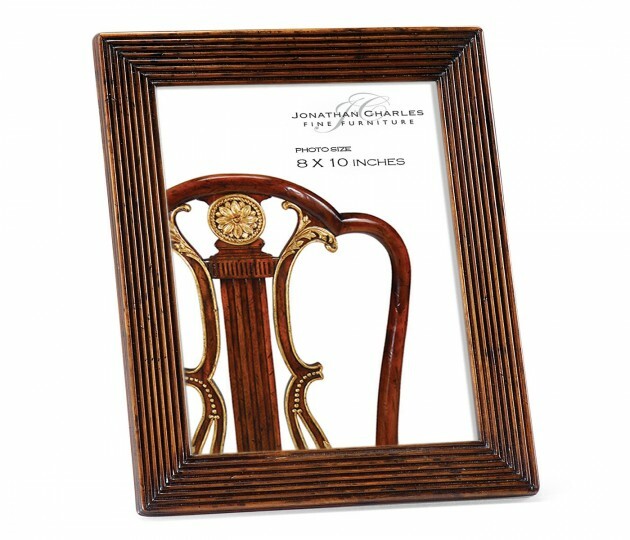 Walnut picture or photo frame with decorative ribbed geometric moulding and distressed finish. Presented in a gift box of 6. Suitable for both hanging and standing.